Hi there, me again! I haven’t posted in a while but then again, there hasn’t been any news. But now…I HAVE NEWS! I’ve just learned that Book #3 has been on a wonderful tour of South East Asia. Is it weird that I’m jealous of an inanimate object? A lovely lady, Katie Hargreaves, who just happens to be an actor and a singer, found Book #3 in France while working there. From there, she took it home to England and I’m so excited to know that it made its way to my country of birth. She then began a month-long trip through Qatar, The Philippines, Hong Kong and Malaysia. Check out The Route section of my site to see all the stops each book has made. Thanks again for following along. Ever so gradually, the story of each book’s journey is unfolding and I can’t wait to turn the next page. 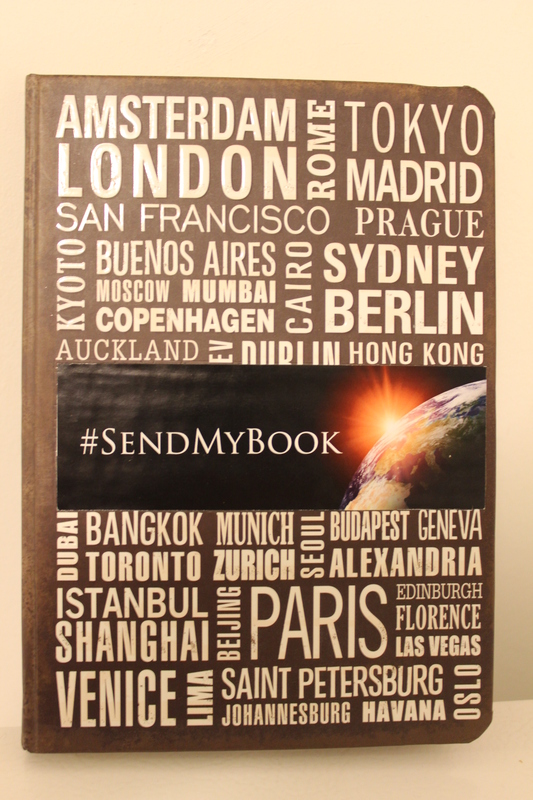 This entry was posted in Travel and tagged #SendMyBook, hong kong, malaysia, route on November 15, 2015 by sendmybookaroundtheworld.